You can use these fall ordered pairs to give your students geometry practice with a seasonal theme. 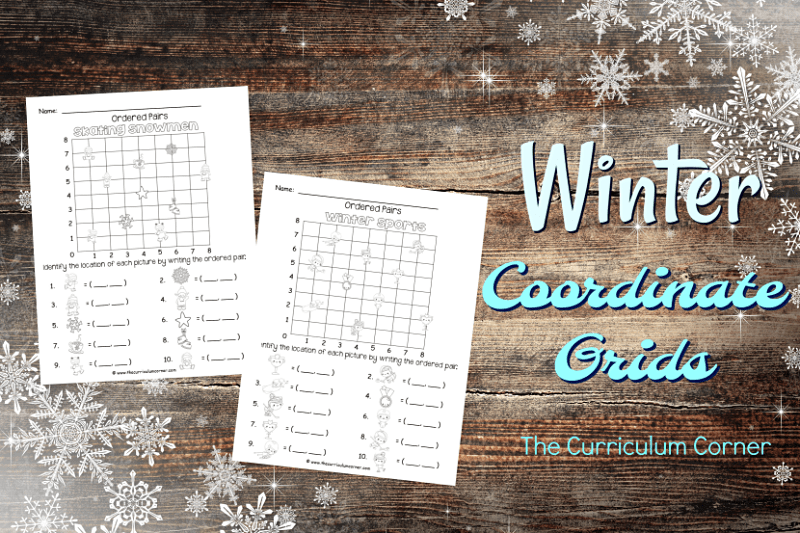 We hope these coordinate grid activities are a fun addition to your classroom! This free winter set includes ten different versions. We have included the following themes: snow fun, winter fun, sunny snowmen, skating snowmen, Santa, winter animals, Christmas morning, gingerbread, New Year and winter sports. Each grid contains a coordinate grid along with winter images. Winter pictures are used to match the theme of each page. Students go over and then up to find the coordinates for each shape. There are many ways you might choose to use these printable pages to give your students math practice. These simple pages provide a good morning entry task if you are required to have students complete a paper and pencil task when they enter your room. You might choose to place these fall ordered pairs pages at a center or work on a small group with one of these task pages. If you are required to send home homework, these pages will provide good practice but will not require too much time. We know the winter weather can make it hard to keep your students engaged, our hope is that these ordered pairs pages are engaging enough for your students to stay focused and provide practice with a needed skill. As always, this set is intended to be free for teachers. Please feel free to print and share with your classroom and parents. 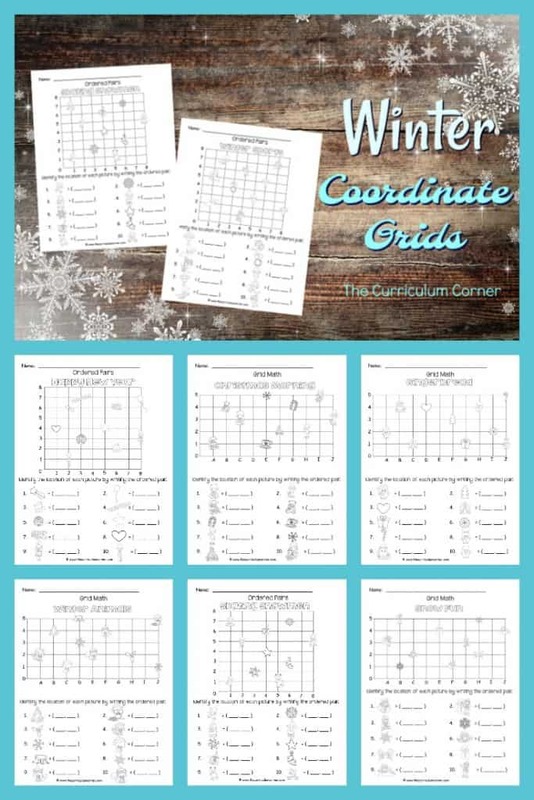 You may not sell or modify and sell these winter math grids in any form. Please help us keep our resources free for all! Thank you to PrettyGrafik Design for the always cute clip art!